The California State University is currently surveying all students by email as part of an extensive research study on food and housing security. The survey findings will be used to develop campus and system programs that address student needs so they can succeed in their pursuit of a degree. The data will also be used to mobilize public policies. San Jose State University students received an email invitation to participate in the CSU system-wide study, which is now open until December 5, 2016. Students who take the survey have a chance to win a $40 gift card. How can you help with the survey as faculty? Mention the survey before or during class. Students have positively reacted to faculty members who have shared resources, invited them to research opportunities, and are able to articulate the importance of good data. Email or post about it in emails to your class, via social media, or in online information areas such as Canvas. Have students find the email with the subject line “CSU Study on Food and Housing Security” and complete it today. SJSU has had students respond so far, but the campus received special permission to extend the survey until Dec. 5 to gather more responses. The survey is critical to the second phase of the study, which was originally commissioned by the CSU Chancellor’s Office in April 2015. 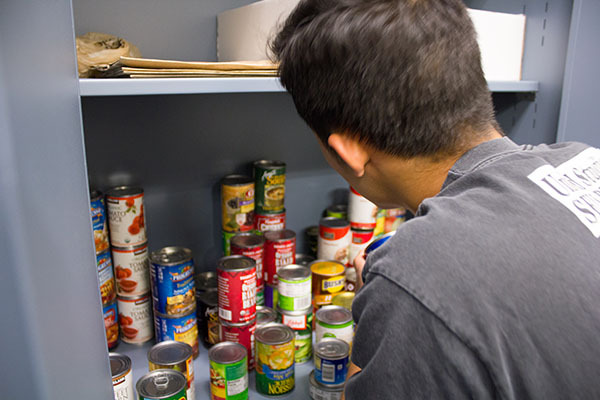 Results of the first phase of research revealed that one in five CSU students experience food insecurity and one in 12 experience housing displacement. Given the scope of this issue and its impact on students, the CSU has since developed online resource tools for campuses and students. Learn more about SJSU’s efforts to address food and housing security online at sjsu.edu/sjsucares and sjsu.edu/food. If you have questions, please email economiccrisis@sjsu.edu.